On Monday, Unity High School had the opportunity to host a performance by Jazz Ensemble II from the University of Wisconsin-Eau Claire. 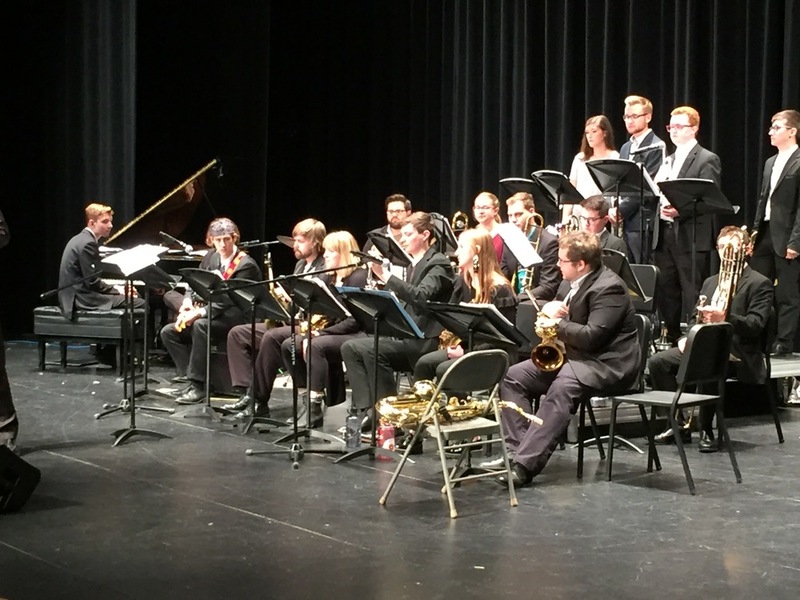 The full 18-piece jazz big band stopped at Unity on their annual Midwest school tour. About 200 students were able to watch the band perform jazz music from several eras of the jazz tradition. The UW-Eau Claire jazz program has earned numerous national awards and maintains a great reputation as a top-notch music school. Students from the Unity High School Band were able to join onstage for the band's last tune. Our students were wowed by the college students' musical talent and attention to detail.